ADIWATT has two factories located in SPAIN and FRANCE, with a global production capacity (2017) which could be over 700/MW YEAR. Our robotised machines aim to maximise our productivity and reduce costs, which enhances our competitiveness and allows us to offer our clients the best prices in order to meet their needs. ADIWATT counts with all the productive means in order to be an integral manufacturer of solar structures. 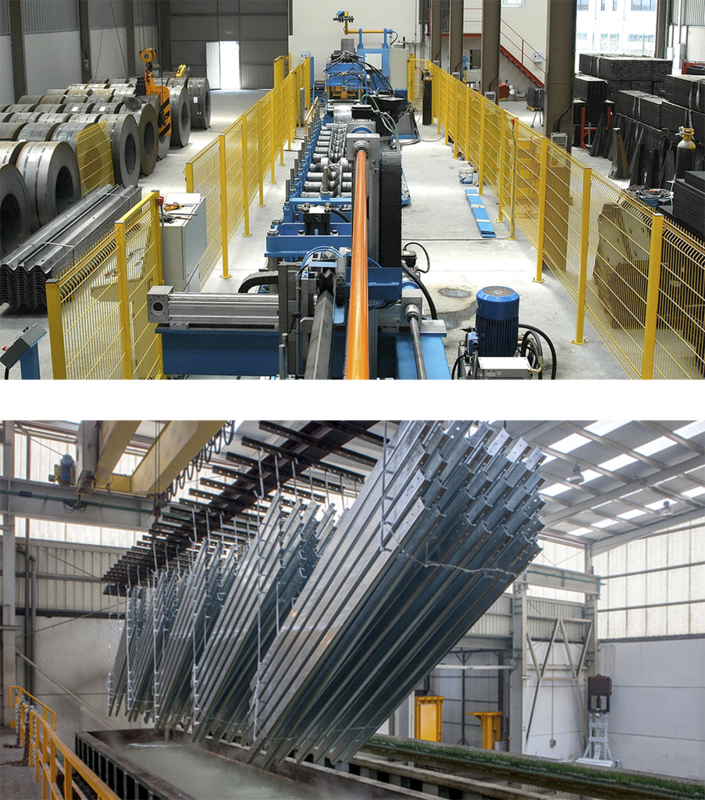 We start with the coil directly from the steel mill, through the strap cut and the shaping (profiled, folded, patterned or laser cut), and we finish with the galvanised coating and the lacquered process with epoxy paint if needed in the project specifications. Dans notre entrepôt logistique, nous disposons de deux plates-formes de chargement de conteneurs pour un chargement agile, sûr et optimal des conteneurs de 20 à 40 “. Pour répondre rapidement et efficacement aux besoins du client, AdiWatt dispose d’un stock moyen de 15 000 tonnes d’acier de différentes qualités et épaisseurs. In our logistics warehouse there are two platforms for the loading of containers, which means that containers from 20 to 40” can be loaded quickly and safely.